Do you routinely run out of hot water every morning while you’re getting ready for work? That shouldn’t be. You need a modern hot water tank that will provide you enough hot water for showers, doing dishes, laundry and other household tasks you need to get done. It can be frustrating, doing the dishes and then running out of hot water before they’re finished. Help is on the way, though. Downriver Plumbers will come to your Downriver MI home and perform a comprehensive water heater inspection to be sure yours is operating properly. Is it installed correctly? It is located in an optimal place in your house? Are its specifications adequate to provide your family with the hot water you need? These questions and more will be answered by our certified water heater specialists. Our plumbing team is knowledgeable about the best water heaters and installation practices, guaranteed. We don’t just do clogged up drains, backed up sewers, corroded pipes and bad sump pumps. We have over 30 years of experience replacing and installing water heaters. Electric shock: If you’re opting for an electric water heater, you’re dealing with over 240 volts of electricity, typically. If you come into contact with that type of charge and don’t have the proper equipment or protective safety gear, let alone knowledge you need to handle it, you could be electrocuted. Code violations: If you’re not a licensed plumber who receives annual certification refresher training on state and local codes, you won’t know what code officials and inspectors are looking for, and could risk being fined or disapproved. The friendly professional plumbers at Downriver Plumbers are specially trained and insured to correctly install and replace any type of traditional water heaters, including tankless styles. When you call us, there will be no worries about any of the above potential hazards or issues. Noises: It’s making noises such as a rumbling sound: when sediment collects at the bottom of your tank, it hardens, causing it to make banging noises. When you hear such noises, it means your tank in Downriver Michigan is going. 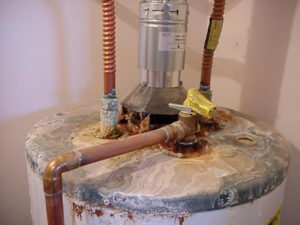 Discolored or rusty water: if your water is rusty looking, it could be rusty pipes, or a bad water heater. This means it needs checking right away. Noticeable leaks or water collecting by heater: this is a sign you probably have a leak in your tank, and it needs to be replaced immediately before you have water all over your floors. Cal the expert plumbing contractors Downriver as voted by our customers. Downriver Plumbers will be there for you right away. Simply call 734-548-9925 to schedule your free, no-hassle water heater inspection today. 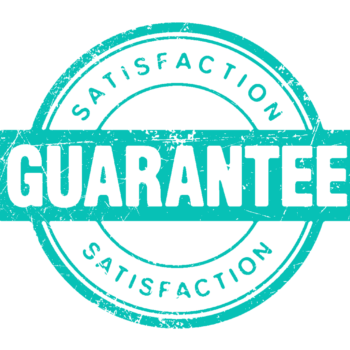 We offer the best warrantees you can find, guaranteed! Our water heaters are the top brands in the U.S., and are built to last for you and your family. Your home is your #1 asset in Southeast Michigan, don’t trust it to unlicensed and uninsured contractors. We’re a family-owned business with over three decades of experience. We want you to be a part of our family. Find us on Facebook and Twitter, and join the conversation.